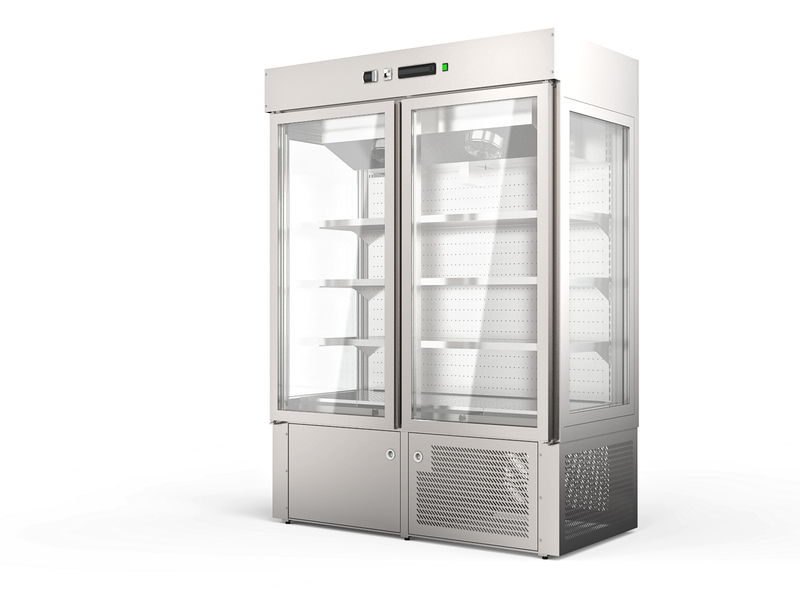 “Olimpo” model Refrigerated Cabinet is designed for storage of meat and cheese. It is composed by hinged doors with silver anodized profiles in aluminium (or black painted on request). Pierced intermediate shelves in stainless steel, with vertical neon lighting. Exit of evaporator tubes and water discharge on the bottom, on the right operator side. Motor for remote connection by 10 mt of distance.